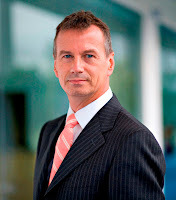 Dubai, UAE, Sept. 16, 2010 – Juniper Networks® (NYSE: JNPR) has announced the appointment of Nicholas Barley to the role of vice president marketing, Europe, Middle East & Africa (EMEA). Nicholas (known as Nick) joins Juniper from The Credible Communications Company, a UK-based software developer. Previously Barley held senior European marketing roles with a number of leading technology companies, including Microsoft, Oracle, Computer Associates and Hewlett-Packard. Barley will be responsible for all aspects of Juniper’s marketing activity across the region, including strategy, planning, segmentation, product marketing, market insights and business analysis, lead generation and sales enablement. Reporting to Juniper’s chief marketing officer Lauren Flaherty, Barley will lead the company’s regional marketing team, represent EMEA at a global level, and also act as a key member of the EMEA management team.